One of the best ways to enjoy student life in the US is by making friends and taking part. The best way to do this is to get involved in all facets of University social life on campus. Usually organised by the Admissions Office, this programme varies from school to school, but will give you a chance to meet other non US students and prepare you for campus life. University campuses are busy places like little towns or villages and there’s always something going on. Many schools have a ‘Student Activities Center’ where you can join sports, clubs, societies, and even student government. These can be a great way to meet people and have an active social life. They can help you grow your life skills and support you in your career path. Remember to consider memberships costs and time commitment, and meet with members from a few organizations first to make sure you pick the right one for you! You should always make time for your studies, but don’t forget to also have fun! Apply for as many scholarships as you can! Start researching early and meet deadlines. Contact the financial aid office at the school you plan to attend, use the public library or research online. Double check everything and make sure the offers you receive are legitimate. Retain all your documents. This is very important and can be applied to all paperwork involved with becoming an international student in the US. Make a photocopy of your application before mailing it and send the application by certified mail. Usually you can’t apply for a scholarship until you’ve been accepted on a course. You can pay your tuition fees and travel expenses without a scholarship first. That way, if you win a grant, you can pay back your bank loan or have a bit of extra spending money. Personalize your essay or letters to the principal – don’t let someone else write them. Don’t rush yourself, just take your time, and be positive and clear. Don’t forget to list all your awards, community work, and career experience. Use a professional email address (for example firstname.lastname@gmail.com). And don’t forget to clean up the contents of your online accounts, removing any inappropriate or immature material. The scholarship amount will not cover all your expenses. Even if you’re lucky enough to get a full scholarship, you’ll still have a lot of expenses (food, travel, books, etc). Don’t forget to apply for as many scholarships as you’re eligible for and provide as much relevant detail as possible. If you want to study in the US as an international student, you’ll need a student visa. Your course of study and the school you want to attend will determine if you need to apply for an F-1 or M-1 visa. You must get a place in a SEVP (Student and Exchange Visitor Program) approved school before you apply for your visa. You can search the Department of Homeland Security website Study in the States for SEVP approved schools. You’ll need to be accepted by a SEVP school 6-12 months in advance. There’s also a SEVIS fee you must pay separately to visa and school SEVIS administration fees. 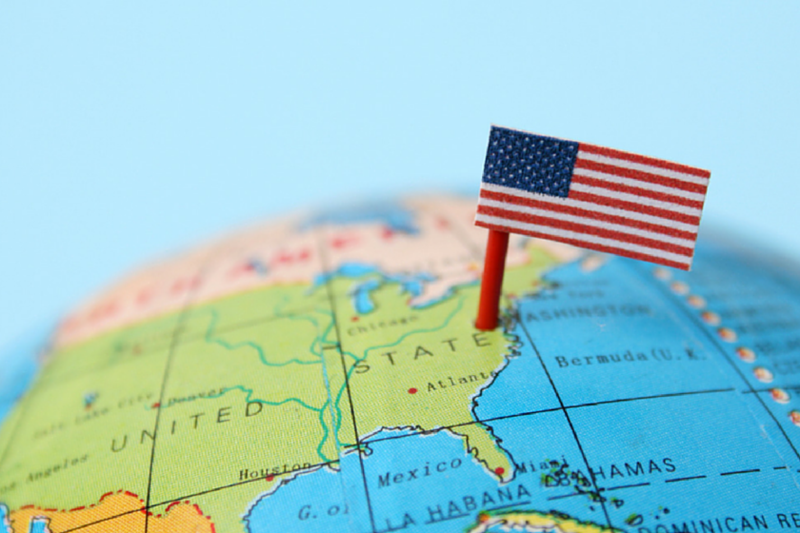 Depending on your course of study, you’ll need an F-1 or M-1 visa. You’ll have to pay a non-refundable application fee. The amount depends on the country where you apply. New students can get an F-1 or M-1 visa up to 120 days before the start of their course, but won’t be allowed to enter the US earlier than 30 days before the start date. What documents do I need for my interview? F-1 visa holders can stay in the US for an extra 60 days after completing the course but M-1 visa holders may only remain an extra 30 days after their course is finished. This is called a ‘grace period’ and lets you prepare for your departure from the US. Can you imagine yourself going to the United States to study and have a ton of fun at the same time? 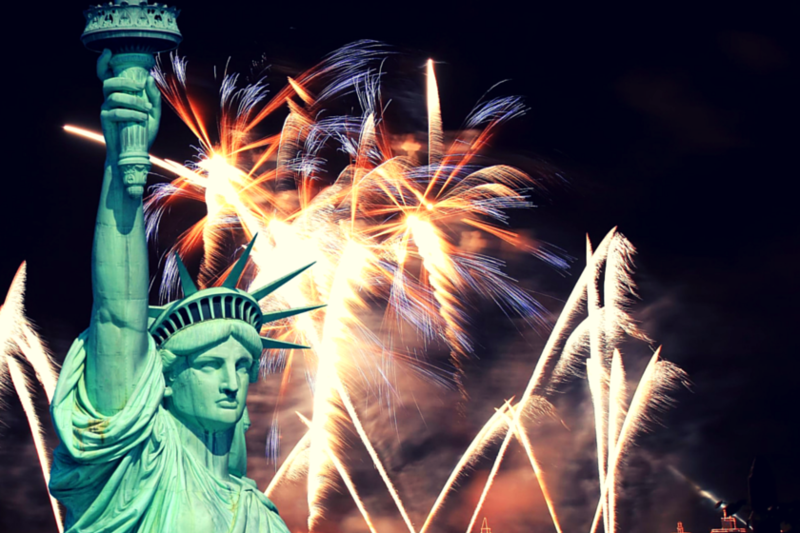 If this is your dream, then your wish could come true if you apply for an F1 Visa (Student Visa). One of the requirements for applying for an F-1 visa is that you prove you can pay the fees for your course of study for the first year and show how your costs will be paid for in the coming years. One of the most important elements in the application process is the I-20 form, also named the Certificate of Eligibility for Nonimmigrant Student Status, which will be given to you by the university you’re applying for. Can I work in the U.S. while studying at the university? 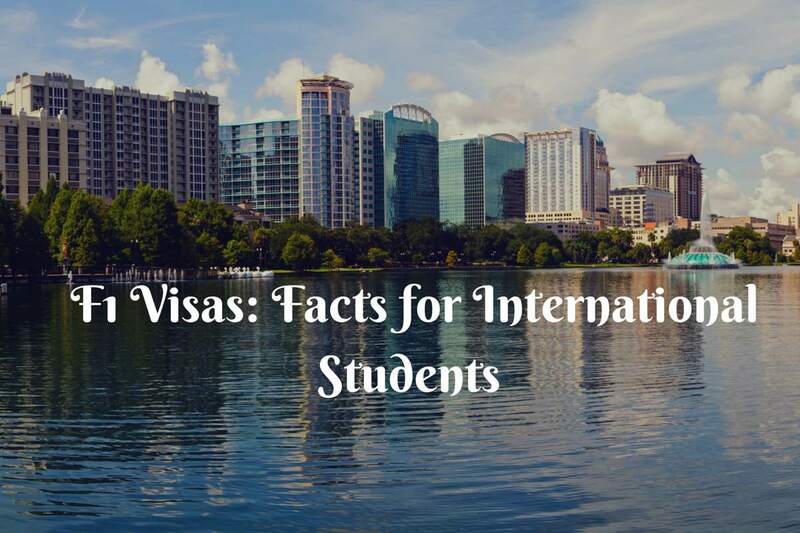 Students are usually allowed to work on the campus of the university and training programs are also permitted, but you must take note that it’s a visa for academic purposes. If any F1-students are interested in starting work, they should first ask for advice from their DSO (Designated School Official) or any foreign student advisor. Can I transfer to a different school? Yes, but you should notify your current school first and get an I-20 form from the new school and give it to your new DSO within 15 days. The F1 visa is the best and most popular choice for foreign students. It’s a great chance to widen your horizons, expand your knowledge, and make new friendships. If you would like to learn more, then don’t hesitate to contact our friendly team for more information. If you’re already on your way, then don’t forget to check out our essential tips to studying in the US. Be open to new adventures and you will have an amazing time in US! The oldest institution of higher learning in New York State, Columbia University was originally founded in 1754 as King’s College by Royal Charter of George II. Eventually renamed as Columbia College, it was renamed again to Columbia University in 1896. It counts the Five Founding Fathers of the US, three US presidents, and nine Supreme Court Justices among its alumni. Columbia also has a large underground tunnel system that’s over a century old, with the oldest portions predating the current campus. The university administers the Pulitzer Prize annually, an award for achievements in journalism, literature, and musical composition. As well as 20 schools and affiliations with many institutes of higher learning, the university also has several global centres dotted around the world in cities such as Amman, Beijing, and Istanbul. The best way to get around campus during term time is to use the Intercampus Shuttle buses running Monday to Friday. They will take you around all the main centres and departments on campus and are fully accessible. There’s also a handy app that lets you track the shuttle in real-time so you know when it’s approaching your stop. 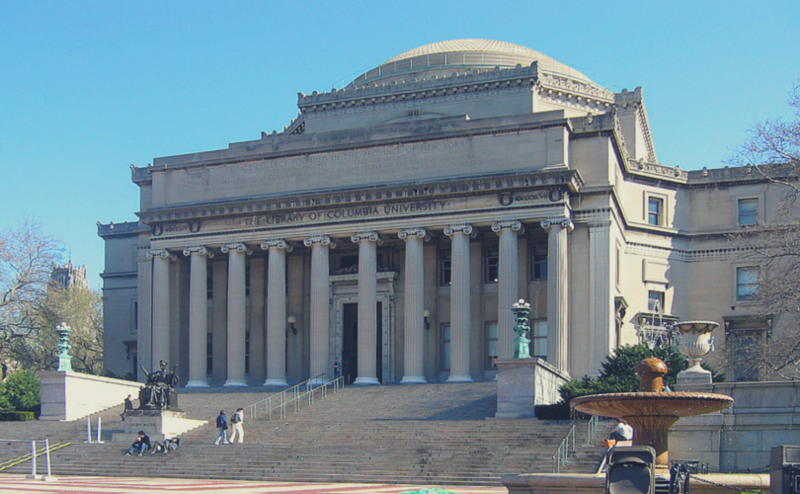 Columbia University covers 32 acres in Morningside Heights in the borough of Manhattan in New York and is served by many buses and subway trains all over the city and in and out of Le Guardia and JFK Airports. Luckily, Columbia University has partnered with NJ TRANSIT to offer full-time students a discount of 25% off the price of a bus, rail, or light rail monthly pass. If you don’t want to cycle, take public transport, or you just want a day trip, then one option is to use a car. You can easily rent or share a car using Zipcar, a university-approved car rental service where you simply become a member, reserve your car, and drive off from one of the locations around campus. If you have a full driver’s license in your home country, then you’ll be able to use it to drive in the US legally. You can also apply for a New York State license but your authorized stay must be a total duration of one year, with at least 6 months before the expiry date. Most first year students live on campus, unless you have specific permission to live with a parent or a guardian. Columbia has apartment buildings and traditional residence halls in the neighborhoods of South Lawn, East Campus, West Campus, and The Block. As a first year student you’re guaranteed housing for up to four years, and to get the guarantee, you must complete a housing application form. You might not always get your first choice, as it’s often determined by random number selection and seniority, but you’ll be allocated campus housing in some form! Off campus housing is a more feasible choice for sophomores and graduates, Columbia’s Off Campus Housing Assistance Office (OCHA) will help you find suitable rental accommodation in the area. You can search the OCHA’s Housing Registry database for rooms and apartments and for potential roommates. The office will also help you with advice and tips on your search and familiarize you with New York’s rental process which can be confusing for newcomers. A nice, clean, safe option is to stay in a homestay with a family nearby, which may work out even cheaper than renting. You’ll get to practice your English, meet locals, and learn all the customs of an American family. You’ll also get a set number of meals included each day and access to laundry facilities. You’ll get a safe, comfortable private room, and the experience will greatly benefit your language skills. Try searching sarahomestay.com, which has a wide range of available homestays and shared lodgings. If you live on campus, depending on your type of accommodation, you’ll have a set number of meals included in the fee. Otherwise you’ll have the option to purchase a meal plan card for the year which will entitle you to food in the university’s dining facilities. As a first year student, you’ll be given the option of certain dining plans to choose from. Getting a meal card will save you time and hassle, and a lot of effort if you’re not a fan of cooking! A whole melting pot of dining options awaits you in the vicinity of Columbia University. There are tonnes of great places to eat nearby so you’ll have plenty of choice depending on your tastes. Tom’s Restaurant, famous for the outside shots on the hit show Seinfeld, is popular among students. If you’re into Asian food then you should try Thai Market, where Bangkok meets Morningside heights. For healthy veggie or gluten free options, go to Maoz, a Dutch falafel bar originating in Amsterdam. As well as plenty of restaurants and diners, there are a number of food markets in the area such as The Columbia Thursday Greenmarket on Thursdays and Sundays on Broadway west of the campus. If you want to shop for tasty, convenient foods then you should pop down to West Side Market where you’ll find everything from microwaveable meals to gourmet specialty items. The Apple Tree Supermarket store on Amsterdam Ave has a 24 hour deli but is slightly more expensive than the Met Foodmarket nearby. Cooking meals from scratch will be much cheaper and by sticking to simple, fresh ingredients, you’ll feel healthier than if you consistently dined on processed foods. Download our free guide for International Students in the US below. 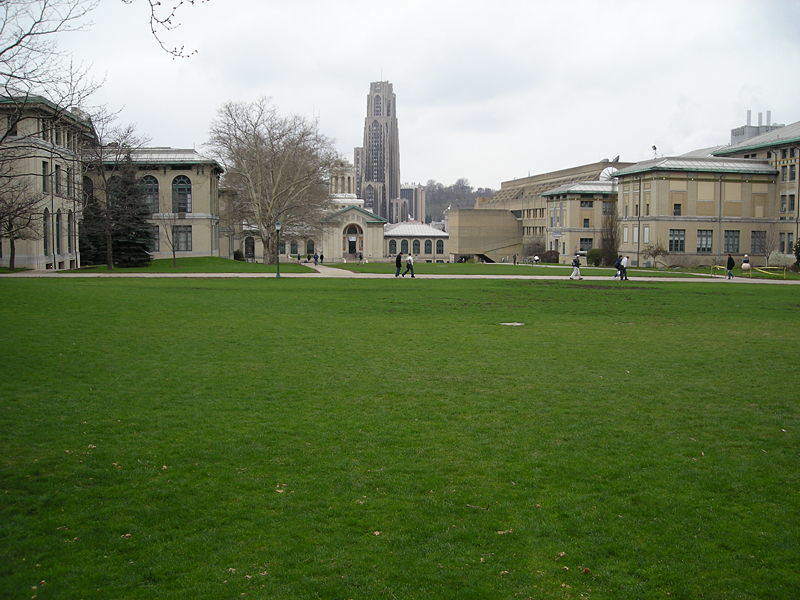 Situated near Downtown Pittsburgh, Pennsylvania, Carnegie Mellon University was originally ‘’Carnegie Technical Schools’’, founded by Scottish American industrialist Andrew Carnegie back in 1900. In 1912, the school became the Carnegie Institute of Technology and eventually merged with the Mellon Institute of Industrial Research to become Carnegie Mellon University. 90% of new students choose to live on campus and once you get there, there are various ways to get around the area. As a first year student, you’ll be required to live on campus and will be guaranteed housing for at least four years. Housing services at Carnegie Mellon will help you find accommodation on campus and there are many benefits to college residential living. The pros of living on-site include 24 hour support, secure, comfortable accommodation, easy access to all the college amenities, and all-inclusive living. You can choose to live in a residence hall right on campus, in an apartment 5 minutes away or even a full house. A university shuttle bus will take you all around campus and back to your accommodation after classes. You should apply for housing by May 31st of the year you’re starting. August and September mark the start of the academic year so it can be difficult to find accommodation off campus as there is a lot more competition for housing. It may be worth arriving early to stay in a guesthouse or hostel while you conduct your search. If you have a Carnegie Mellon email address, you can search their Off-Campus Housing listings for rental accommodation. There are plenty of options for homestays in Pittsburgh that you’ll find on homestay.com. Living in a homestay can be a great option to save money and help you learn the ways and customs of an American family. If English isn’t your native language, then you’ll get great practice too! If you’re eligible, you can get a Carnegie Mellon ID card, which you can use to go on any Port Authority Transit bus for free. The buses will take you in and out of campus and plenty of them stop in the Oakland area in front of Carnegie Mellon’s campus. You’ll find details of schedules and stops on the Port Authority’s website. The Carnegie Mellon University Police run a shuttle service on campus with two routes operating throughout the academic year. You can find more info about the current shuttle routes here. The people of Pittsburgh love to bike it, and so should you, with plenty of secure bike racks, bike trails, and handy lockers available on campus to make use of. There are plenty of events, workshops, and meet-ups that take place for bike-lovers throughout the year. Check out bikepgh.org for regular events, and register your bike with the Campus Police department for free. Save on the cost of fuel and repair bills by registering to carpool as part of the Carnegie members’ carpool matching system. You can register as a driver, shared driver, or passenger, so if you’re interested, you can contact Commute Information here. There are over 34 locations on campus where you can grab a bite to eat with flexible hours so you can find food any time of the day. You’ll find everything from bagels and burritos to a stir fry or pizza, with plenty of choice for vegans and vegetarians and anyone with special dietary requirements. You’ll find lots of places to eat nearby the university and many of the diners offer great deals on meals. Go to Pamela’s for the pancakes and Deluca’s for the breakfast burritos. You’ll get a cheap burger at Hello Bistro and if you like Johnny Cash and pub food, you should try The Squirrel Café. Have a look on Urbanspoon for more options. Are you going to the US to study? Then download our free travel guide for international students in the US below. Illinois Institute of Technology was founded in 1940 as a result of the merging of the Armour Institute and Lewis Institute. 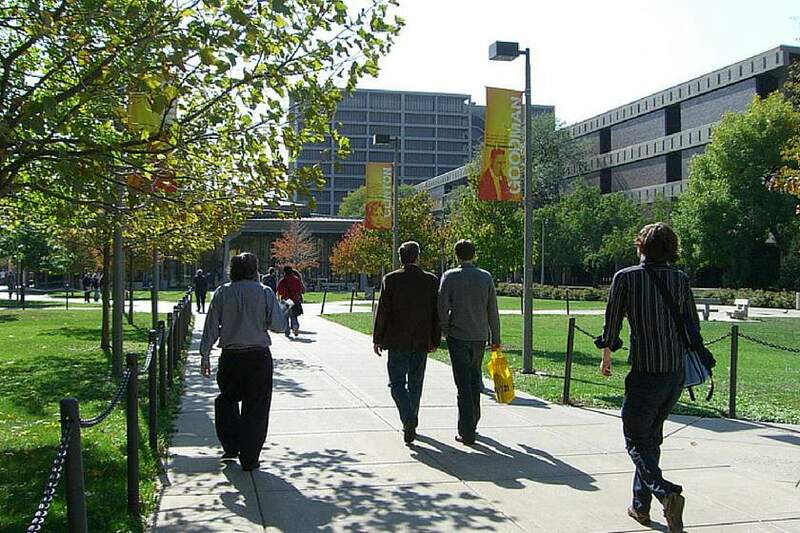 Often referred to as Illinois Tech or IIT, the tech is a PH-D granting private research university located in Chicago. It offers programs in engineering, architecture, psychology, communications, industrial technology, design, law, science, and business. 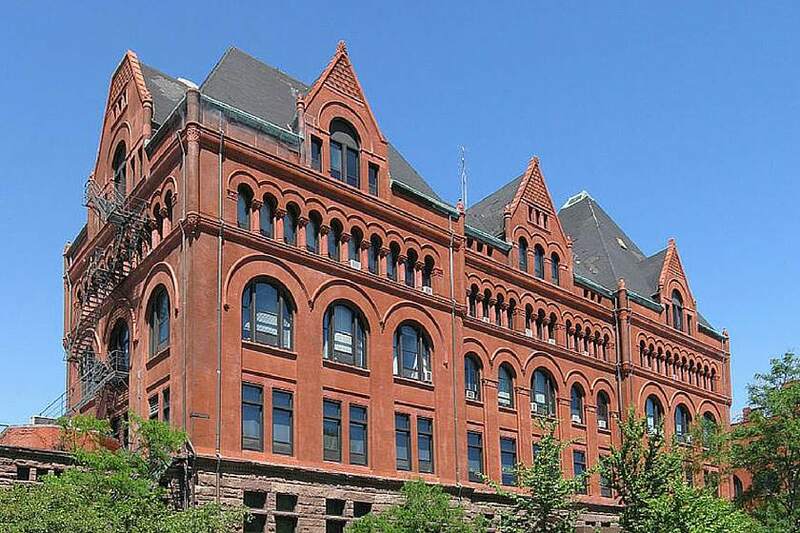 In the mid-1990s, the college underwent revitalization as a result of a $120 million donation from alumnus Robert Pritzker and Robert Galvin which facilitated the completion of new buildings on the main campus and the renovation of Wishnick Hall. A large research park was also developed to help foster the focus on biotechnology and the relationship between business and technology. The university offers a year-round shuttle service that’s free for students, faculty, and staff. It will take you around all the main campuses, including Main Campus, Downtown Campus, Daniel F and Ada L. Rice Campus, and Moffett Campus. Chicago Transit Authority operates public transport in Chicago with buses that will take you to and from campus to nearby neighborhoods and the city center. Students who wish to cycle on campus don’t have to worry about buying an expensive bicycle. There’s a bike-sharing scheme for short trips on the Main Campus, perfect for getting to class quickly. You can buy a 24 hour pass or join up for the year at Divvy. All first year students are required to live on campus, with very few exemptions. Residence Halls at Illinois Tech are designed to adjust you to student life and offer easy access to the facilities. A good way to find out more about housing is to take a campus tour. For students that aren’t required to live on campus, renting an apartment off campus can often be a cheaper option. It may not be as convenient as living on campus, but you may find it gives you more freedom and choice. You can search for apartment rentals here. You might want to explore the campus before you begin your Freshman year or perhaps have your family to stay. Fort short-term accommodation, there are many hotels located near Illinois Tech, including the Chicago Loop Hotel, The Amber Inn, and the Travelodge Downtown Chicago, which are all close to campus. Most campus residents are required to be on a meal plan. There is a wide selection of dining options to choose from on campus; enjoy the buffet style hall in The Commons, a quick coffee at 10West or lunch-to-go at Center Court. Many more are listed on their website here. Make the most of your time in Chicago by checking out some of the local restaurants, cafes, and eateries in the vicinity of the tech. Grab a slice of piping hot pizza at Giordano’s Pizzeria on West Jackson Boulevard or visit Laurence Fisheries after a stroll along the canal. You’ll find a list of nearby restaurants on the tech’s website here. Plenty of grocery stores are within easy reach of the tech, including Harvestime Foods for general grocery shopping, Cermak Fresh Market for ethnic foods, and Hong Kong Market for Asian food. If you prefer organic and natural food, head to Whole Foods Market or for something a bit more upscale, call into Treasure Island Foods. Heading to the US to study? Don’t forget to download our FREE guide for international students in the US below! 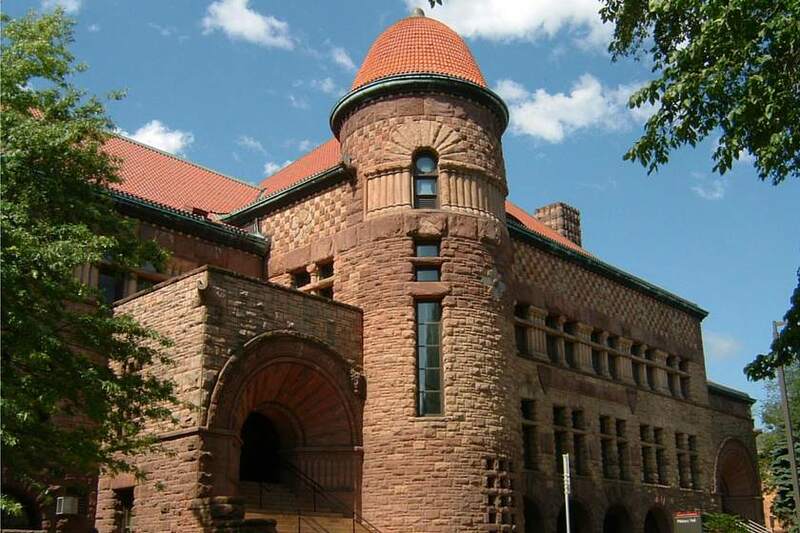 The University of Minnesota Twin Cities is set on the banks of the Mississippi and is the largest and oldest campus of The University of Minnesota. It has the sixth largest main campus student population, with 51,853 students in 2012/2013. Their sports teams are known as The Minnesota Gophers and compete in the Big Ten Conference, the oldest division 1 collegiate athletic conference in the US. 90% of new students at The University of Minnesota choose to live on campus and avail of easy access to the facilities. It’s a great way to meet people and the most convenient option for classes. You’ll also get close access to the library, student organizations, and centers. Once you’re enrolled, you’ll have the option of living in residence halls or in one of over 30 Living Interest Communities where students who share similar interests live together in a dedicated area of the residence hall. This will give you the chance to collaborate with like-minded students on projects that interest you and further your career/life goals. Are you a sport lover? Then you’ll love living in stadium village, home to the Golden Gophers TFC Bank Stadium. As well as home to the University of Minnesota sports arenas, there are plenty of bars, restaurants, and shops serving the local student population. Home to a large student population, Dinkytown is a commercial district in the Marcy-Holmes residential neighborhood in Minneapolis. It lies on the north side of the university’s east bank campus and is full of great restaurants, cafés, and bars. A melting pot of cultures, the Seven Corners/Cedar Riverside neighborhood is also home to many sports fans who attend events at the local Metrodome. If you live here, you’ll get to enjoy the friendly nature of the inhabitants and a diverse range of ethnic food. Another safe and often cheaper option is to live with a local family near the university. You’ll be immersed in the culture and get daily help with your English. As well as a private room, you’ll get a set number of meals included and access to laundry facilities. Other benefits are meeting the locals and getting to see places beyond the tourist trail; your hosts will be the perfect guides for your trip! The University of Minnesota Twin Cities has a bike-friendly campus, and cycling is one of the cheapest and quickest ways to get around. If you can’t afford to purchase a bicycle, you can join the bicycle-sharing network and check out a bike at any of the 10 locations on campus and more than 100 locations downtown. You simply pay a fee to join up for a month or buy daily passes. Using public transport is a cheap way to get to and from the university and this way you don’t have to worry about parking. You can purchase discounted student passes for the metro area and a free shuttle service will take you around the main campuses. Parking on campus is limited, so buying a car may not be the best option. You can rent a car with Fleet Services or use a Zipcar to get around without the hassle of worrying about parking or selling a car when you’re heading back home. You’ll find lots of options for dining on campus in cafés and restaurants such as Subway, Bistro West, and Panda Express. You’ll find a comprehensive list of dining locations on the university’s website here. You can also purchase meal plans to cover your food costs on campus throughout the year. Being a student can be expensive with books and fees to pay for, but luckily there are some decently priced cafés and restaurants close to the university and in nearby towns. Dinkytown is a favorite neighborhood for students; you can grab a hearty breakfast at Al’s Breakfast or try one of the discounted lunch specials at Hong Kong Noodles. Other cheap eats include Element Pizza on Broadway St or Zen Box Izakaya on South Washington Ave.
Save some cash by cooking fresh food from scratch! Eating ready-made meals can be convenient, but cooking fresh food will keep you healthy. If you don’t want to travel for your shopping, you can get it delivered by Gopher Grocery; you simply browse for what you want online and pay. For organic and sustainable produce, go to Lunds and Byerlys on University Ave SE; they also have a great deli and sell freshly baked goods directly from their bakery. Going to the US to study? Download our free study guide for international students in the US. Founded in 1831, the central part of New York University (NYU) is its Washington Square campus in the heart of Greenwich Village. It’s one of the highest searched for universities online across the world and hugely popular with international students. It counts 36 Nobel Prizewinners among its alumni and is organized into more than 20 schools, colleges, and institutions. Whether you want to live on campus or within the surrounding suburbs of the university, there are plenty of choices for accommodation, transport, and cheap places to eat. Living on campus is one of the best ways to integrate into all facets of student life, with plenty of opportunities to join organizations, participate in workshops, and enjoy all the social aspects of student life. As well as access to all the amenities campus life has to offer, you can avail of a meal plan so you don’t have to worry about feeding yourself. The Office of Residential Life and Housing Services is in charge of the administration of NYU’s 23 residence halls, which are home to approximately 11,000 students during the academic year and summer session. To find out more about living on campus, visit their web page on NYU’s website. Living off campus offers a wider choice of accommodation and may help you save money if you share with roommates. The NYU Student Resource Centre will help you search for accommodation and will give you access to the Housing Registry and provide you with tips on safety, travel, and legal resources. Looking for an apartment in New York City can take quite a bit of searching, so if you’re going for this option, give yourself plenty of time. You may also need to rent or purchase furniture for your new apartment, so keep this in mind when you’re budgeting for off-campus accommodation. A homestay will give you the chance to immerse yourself in US culture as you live with an American family. The family will help you adjust to life in New York, cook your meals, and give you a comfortable and quiet place to sleep. It’s also a great way to improve your English and meet people as soon as you arrive. This also tends to be an affordable option as the cost typically includes laundry facilities, utilities, and a guaranteed number of meals per day. You can search homestay.com and newyorkhomestay.com for suitable options. New York University has its own transit system to take you around campus with buses running between Washington Square campus and NYU residence halls. You’ll find a map and times here. New York University’s campus is effectively New York City, so you won’t be stuck for transport options! It’s also pretty cheap to get around and the local fare for a bus or metro is about $2.50. You can access information on subway routes and times at mta.info. Biking your way around campus is a sustainable way to get around and it’s easy to find a bike with plenty of bike rentals and shops in and around campus. The university also provides bike racks that are indoor and outdoor to keep your bicycle secure. Pay a visit to the NYU Bike Share which offers free rentals to students who go to their safety training workshops. Alternatively, you can buy a bicycle at the Bike Shop which sells refurbished bikes at discounted prices. 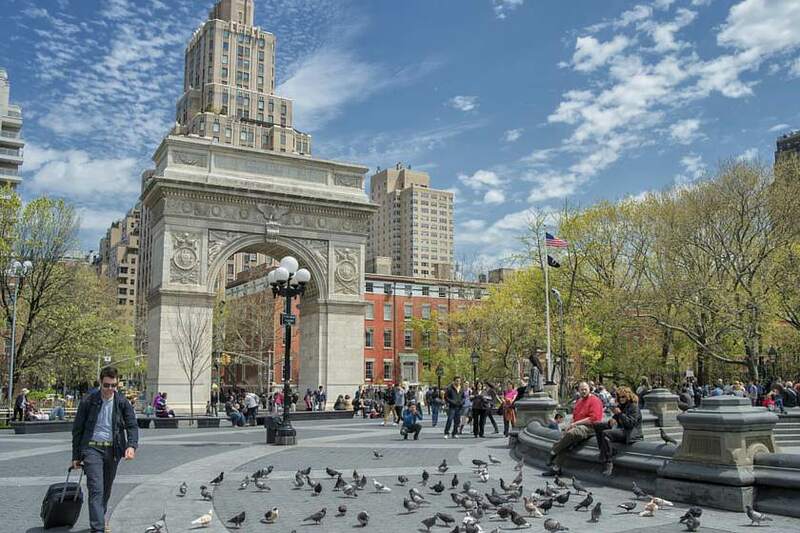 You’ll be spoilt for choice when it comes to dining at New York University’s campus at Washington Square and Brooklyn. You can also purchase flexible meal plans to suit your dietary needs and budget at 15 locations at the university. You can download their menu and view plans here. For some truly cheap eats near New York University, try the $2.50 falafel at Mamoun’s on Washington Street or sample some tasty Vietnamese cuisine at Saigon Shack on MacDougal Street. Greenwich Village nearby has lots of restaurants and cafés so you won’t struggle to find a bargain at mealtimes. Family owned D’Agostino’s supermarket is close to campus and has a loyalty saving’s scheme that lets you earn points towards coupons and discounts every time you shop and use your reward card. The famous Union Square Greenmarket opens every Monday to Saturday throughout the year with around 140 farmers and vendors selling fresh produce. For more grocery shopping and organic options you can always go to Trader Joe’s on 14th street! Enjoy your stay as an international student in the US and good luck! 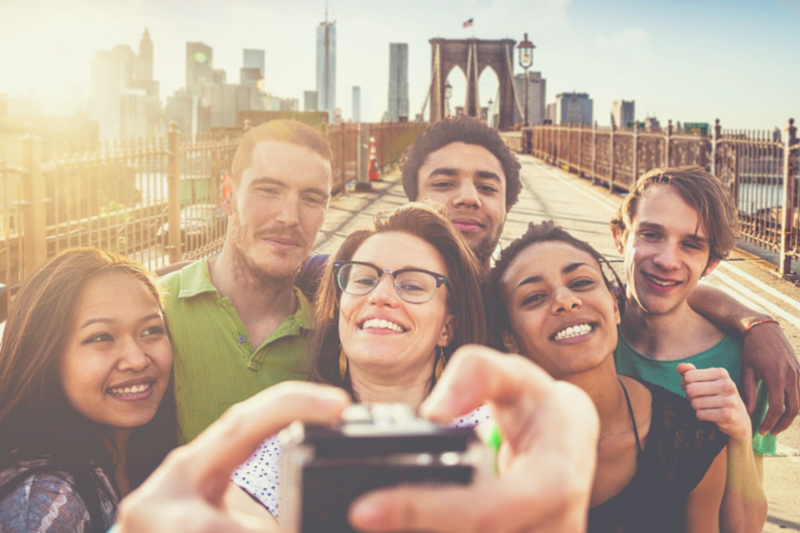 If you’re heading to the US to study, don’t forget to download our free guide for international students! With 15 colleges, 28,000 students, a hospital, and health sciences system, the University of Illinois at Chicago (UIC) is a really impressive state-funded public research university. UIC operates the largest medical school in the US, educating the majority of doctors, nurses, dentists, and pharmacists in the country. The student body is diverse and sport is a huge part of the university, with 20 men and women’s Division 1 sports. The research university receives billions in Federal funding; for example, in 2014, the university had a $2 billion operating budget. If you go to the University of Illinois at Chicago, you’ll get to experience all the delights the windy city has to offer. If you live on campus in one of the residence halls you’ll be minutes from lectures, student centers and recreation halls. The university also offers special interest living where students with shared interests, both academic and non-academic, can live together. Each special interest area has a peer-mentor to guide students in their life and career goals. While living on campus, you get free laundry facilities, discount cinema tickets, 24 hours security, study rooms, and lounges for socializing. You might find it cheaper to live off campus and share accommodation with roommates. UIC has an off-campus housing directory where you can search for rentals in one of the residential neighborhoods nearby. The Chicago metropolitan area is well served by public transport so you’ll have no trouble getting to campus easily. Renting an apartment will give you more freedom and the chance to immerse yourself in the city’s culture. A homestay provides a unique opportunity to live with an American family near to the university. If you’re not a native English speaker, this is a good way to brush up on your language skills and learn about American culture up close. The host families will provide you with a private room, bathroom, and meals for a monthly fee. Search for Chicago homestays here. The intercampus bus runs every day and makes it really easy to get to and from the east to west side of the campus. Intercampus buses are accessible and paratransit service options are also available seven days a week. At night, when the intercampus buses aren’t running, you can use Red Car, which will take you around campus from 11pm-7am. UIC spans over 244 acres and is serviced by local public transport. CTA (Chicago Transit Authority) trains and buses will take you to campus and you can use the smartphone app to find out exactly when and where they are going. When you start at UIC, you’ll be invited to attend a Commuter Connection Day to help you ease into life at the university, meet other students, and hear all about the transport options available to you. Here are some helpful tips on getting around the city of Chicago. Recognized as bike-friendly by the League of American Bicyclists, the campus is easy to navigate on a bicycle. If you don’t own a bicycle, you can join Divvy, Chicago’s bike sharing system of over 4,000 bikes in 470 locations. You can join as a member for a year or get a 24 hour pass and pick up a bike at one of the stations dotted around the city or on campus. With Greektown and Little Italy lying very close to campus, there is no lack of choice when it comes to finding nice places to eat. In Greektown, you can get a lunch special with a large slice of pizza and soda for $4 at Primos Chicago Pizza Pasta or grab a generous portion of noodles at Chinese Yum Yum. Davanti Enoteci is a nice little Italian restaurant, serving small plates of authentic Italian dishes. UIC has a wide variety of restaurants and cafés serving students on campus. To save money, you can purchase one of their meal plans if you’re going to spend a lot of time eating on campus. As well as all-you-care-to-eat dining locations, there is a Wendy’s, Baskin Robbins, Port Center Café, Subway, and plenty more places you’ll recognize. For reasonably priced groceries and all the basic necessities, take the shuttle bus to Jewel on Roosevelt and Ashland or call into the Dominick’s across the road for a wider selection and more upmarket options. For organic food, try the Whole Foods Market in University Village. Remember, it’s cheaper to shop for fresh food and cook your meals from scratch, and it will be healthier too! Good luck, and enjoy your time as a student at the University of Illinois at Chicago!